There once was a castle, it took 12 hours to build. Above the high tide mark just to make sure it lasted awhile. With turrets and spires and lots, lots more, have a look at the picture, you will adore it I am sure. 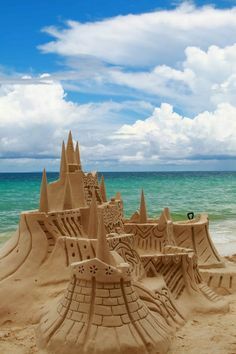 Wet sand, a big pile, stacked very high, then patted into a castle type shape. Satisfied it was ready, we sculpted and shaped. Being quite complicated of fairytale style, the finished build made us all smile. Photographs were taken as we were quite proud, and we felt even better when it drew in a crowd. Joshua Redman. Walking Shadows. US 2013. Joshua Redman’s 2013 album, Walking Shadows, is a lush orchestral album featuring the saxophonist backed by a large symphonic ensemble. From Charlie Parker’s string recordings in the ’50s, to Miles Davis’ large-ensemble recordings with Gil Evans in the ’60s, to Wynton Marsalis’ 1984 album Hot House Flowers, there is a long tradition of jazz musicians framing themselves in the warm, classical tones of a string orchestra. Here, Redman positions himself within this continuum with an album that frames his articulate, harmonically sophisticated saxophone style with immaculately produced arrangements from Dan Coleman, Patrick Zimmerli, and pianist Brad Mehldau. Needless to say, I was at a disadvantage in physics especially when it came to lab work. One of my first lab experiments involved splitting water into hydrogen and oxygen. When I asked the Professor (A.D. MacDonald who was later moved to the Jet Propulsion Laboratory in Pasadena) about how to connect up the lead wires to the terminals of the apparatus his reaction was something like: “Where on earth did you come from?” Likewise, in electronics class, another Prof (C.K. Hoyt) marvelled at how well I could answer the theoretical questions – but a dead loss, when connecting up the circuits. Most of the other students had been assembling crystal radios while still in grade school. I haven’t had much time for blogging recently. What with one thing and another WP has taken a back seat. I’ve taken up part-time employment as a Driver under the Shebah banner. Basically I’m a self-employed driver subcontracted to Shebah. Shebah is very similar to Uber. Passengers use the Shebah App to call for a rideshare driver. Shebah service offers female only drivers for female and children passengers. We also accept pets if pre-booked. There are scenarios in which boys and men can use the service. Primary school aged boys can travel with a female guardian or unaccompanied. Secondary school boys or boys under 18 can travel if accompanied by their mother or a female guardian.